Where do most golfers waste countless strokes in every round? On and around the putting green. Short game practice is easy, fun, and evident in your scores on the course. Now, you can have a professional quality green and short-game practice area in the convenience of your backyard.Fully 40% of your golf game is played on and around the putting green. That means that the quickest way to drop strokes is to focus on better chipping and reducing putts. That’s our mission at Putter’s Edge of South Florida!Putters Edge of South Florida is proud to provide the entire southern half of Florida with the finest professionally installed synthetic putting surfaces usingPutters Edge “Pure Absolute Roll” (PAR) Turf and our exhaustively tested and refined installation methods. Putter’s Edge Of South Florida has been in business building greens in Florida for over 15 years. 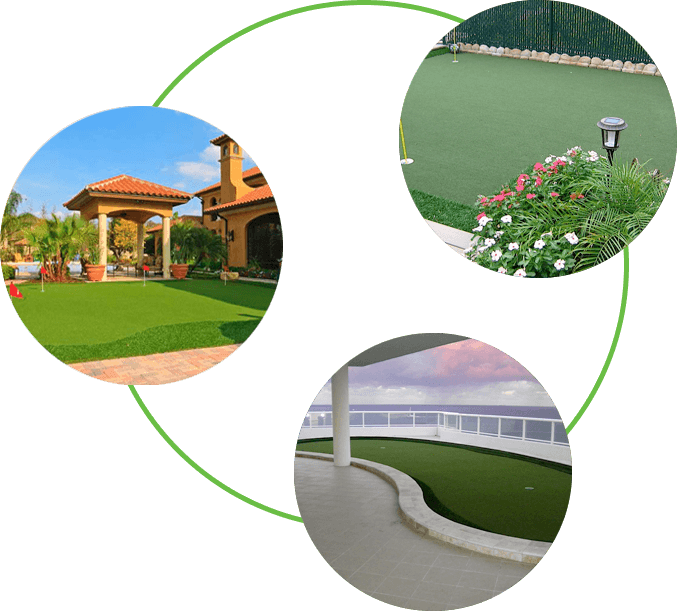 PESOFLA is your dealer on the west Coast of Florida and is owned and managed by a professional staff that is focused solely on the artificial putting green business. This is our only business and we are good at it. Every green is installed using Putter’s Edge proprietary turf products that have been called the finest quality products in the industry. Every installation uses our proprietary techniques and methods to create the most perfect putting surfaces in the world. Installation is done by our staff and follows strict guidelines and training. When you’re ready to turn your home into your perfect, personalized practice facility, you’re ready for the finest custom putting greens, chipping mats and specialty golf products – exclusively from Putters Edge of South Florida!